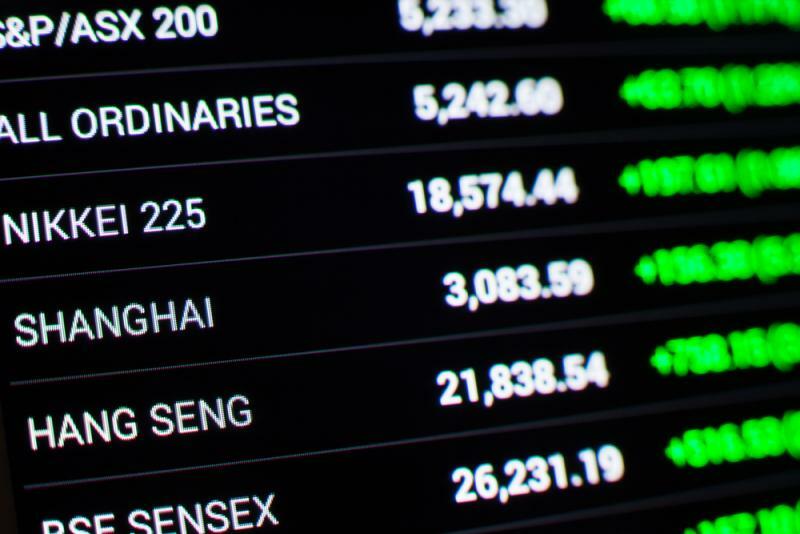 Asia-Pacific stocks rebounded solidly Thursday, as markets in the U.S. and Europe stabilized overnight following weakness sparked by top White House economic adviser Gary Cohn’s resignation. Stock prices have been swinging up and down this week as investors have tried to gauge what action will come from recent U.S. protectionist rhetoric. Hong Kong stocks, which have seen some of the week’s biggest declines, saw the largest morning gain at nearly 1.5% for the Hang Seng HSI, +1.56% . Index heavyweights including Tencent 0700, +1.89% saw rebounds of at least 2%. Most regional benchmarks were at least 0.5% higher by midday Thursday, with Taiwan Y9999, +0.73% , New Zealand NZ50GR, +0.90% and Singapore STI, +0.72% up almost 1%. The Nikkei Stock Average NIK, +0.54% finished morning trading with a 0.8% gain, aided by an overnight pullback in the yen following a haven rally triggered by Cohn’s resignation. Electronics stocks were strong, with Nintendo 7974, +4.06% and Sharp6753, +2.05% respectively rising 3.3% and 2.2%. Some market participants don’t expect this latest stock rebound to be sustainable just yet. Also looming is Thursday’s European Central Bank meeting, Friday’s policy statement from the Bank of Japan and the end-of-week employment report out of the U.S. There was upbeat economic news out of Asia-Pacific on Thursday, with Japanese growth revised strongly higher. Fourth-quarter expansion has now been put at 1.6% on an annualized basis, versus a preliminary estimate of 0.5%. Meanwhile, Australia logged a much bigger than expected trade surplus for January. China said February exports surged 44.5% from a year earlier in dollar terms while imports rose 6.3%, resulting in a surprise surplus. But start-of-year Chinese economic data are volatile because of the shifting timing of the Lunar New Year holiday. It came in mid-February this year. In commodities, oil futures rose 0.2% from Wednesday’s U.S. settlement following the overnight 2% slide as U.S. output hit fresh record highs last week. Bitcoin’s price BTCUSD, +0.23% fell back below $10,000 by midday in Asia, according to CoinDesk, after falling 10% in an hour during U.S. trading. The selling followed reports about a major bitcoin exchange in Hong Kong having problems executing orders.